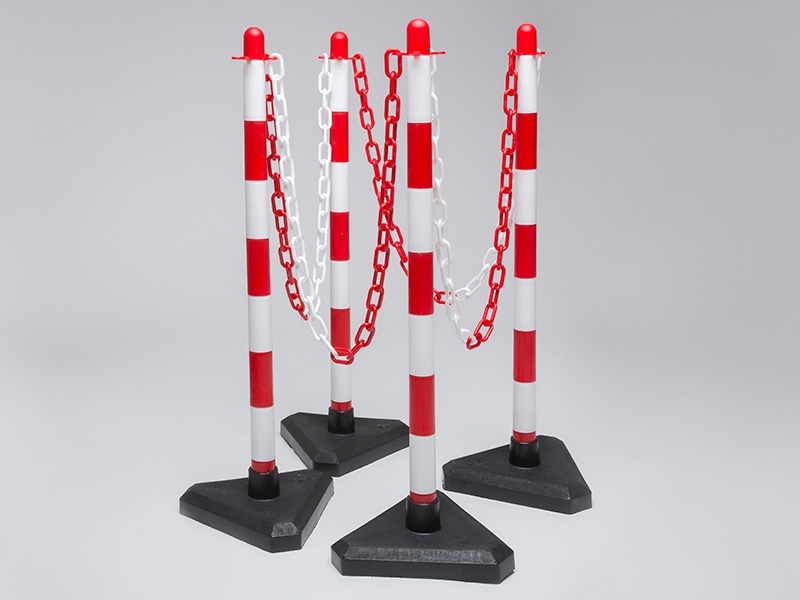 This concrete base 4 post plastic chain kit is a useful addition to any business that is considering a method of demarcation that is effective yet inexpensive. 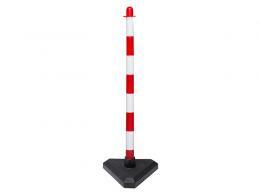 This particular kit is coloured with red and white alternating stripes that make the posts and chains highly visible. Designed to be deployed quickly, this kit has everything a company needs to get their temporary fencing up and running with a minimum of effort in installation. Most companies that purchase this type of plastic chain kit usually already have a use in mind for it. 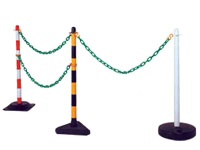 These plastic chains are especially useful for creating temporary fencing as well as controlling traffic flow in parking lots. The plastic fence kits are among the best economical solutions and because of their ease of mobility, the situation of the posts and chains may be changed depending on the situation. 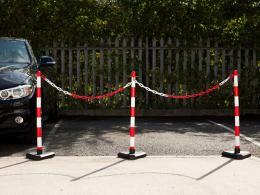 Who might use this pedestrian barrier kit? Businesses that are looking for an economical and flexible solution for establishing outdoor areas can benefit greatly from this kit. The area that is marked off can vary in size. Although this kit only covers a certain area overall, other kits can be bought and linked together seamlessly to make a truly scaleable solution. This means that one set of posts and chains can be used throughout the area without having to worry about compatibility issues. This particular concrete base 4 post plastic chain kit comes with 4 already assembled posts and bases. The bases are concrete that is surrounded by plastic. Also included in the installation kit are 6m of chain. The chain is divided up into 2m sections for ease of installation. Alongside the 8mm thick chain segments are 20 s-hooks and 20 connectors that are designed for use specifically with this type of chain kit.